Las Vegas, NV—Nikon Inc. is now offering a new interchangeable-lens camera trade-in program. 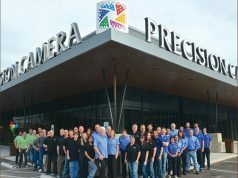 The goal of the program is to make it easier for photographers to upgrade to the company’s new Nikon Z full-frame mirrorless camera system. 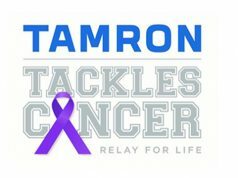 The program started on Sunday, January 27, 2019. 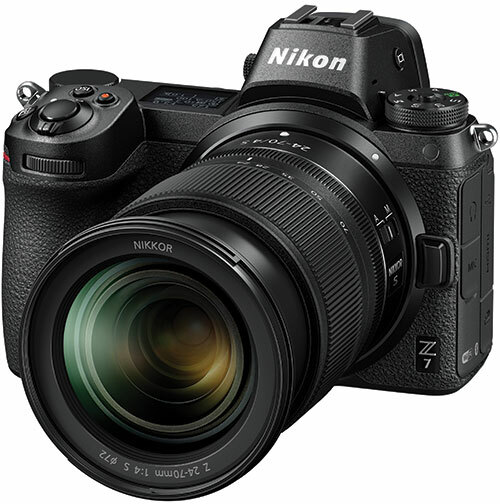 Consumers can now trade in their operating interchangeable-lens camera (any brand) for a new Nikon Z series camera and get $400 towards a Nikon Z 7 camera or $200 towards a Nikon Z 6 camera, in addition to their camera’s trade-in value. What’s more, consumers can save an additional $100 on the Mount Adapter FTZ when purchased together with a new Nikon Z 6 or Z 7 full-frame mirrorless camera. 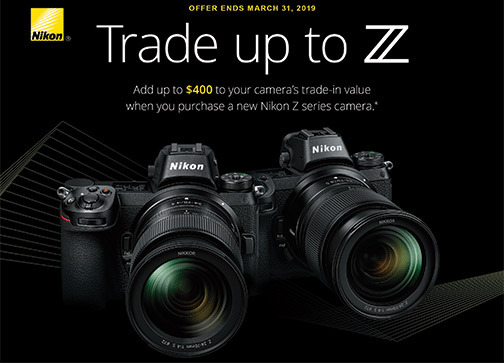 The limited-time Nikon trade-in program ends March 31, 2019. The Nikon Z 6 and Z 7 cameras are built around the next-generation Z mount. As a result, they achieve a new era in optical performance for Nikon. The full-frame mirrorless cameras employ FX-format backside-illuminated CMOS image sensors to produce outstanding image quality. In addition, they feature a fast hybrid autofocus system, 5-axis in-body image stabilization and a clear Quad VGA electronic viewfinder. Furthermore, the Z cameras offer advanced video features. As part of the new system, Nikon also offers a growing line of high-performance Z Nikkor lenses.